October 4 is going to be a big day for both Google and tech enthusiasts. Not only are we expecting Google to show off its first Pixel phones, the Pixel and Pixel XL, we won’t be shocked if they unveil pricing and availability for Google Home, and introduce Google WiFi routers and a new Chromecast. That new Chromecast is said to be called the Chromecast Ultra and the folks at VentureBeat have given us pictures of it (above). 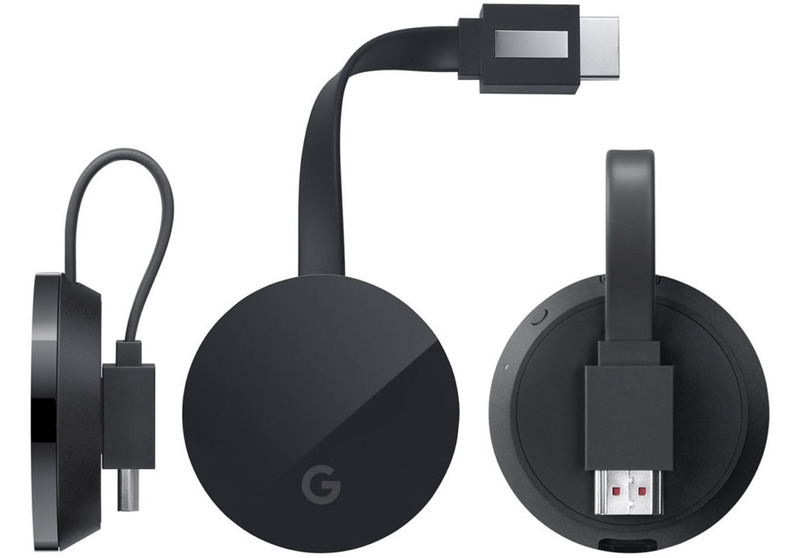 For those new to Chromecasts, at least the most recent releases, know that this looks exactly like the Chromecast (2nd gen) that was released last year. You’ve got this puck-like design with a short yet bendable HDMI cable jutting out from its body as a means of connecting to a TV. The difference here, from a design perspective, comes in the form of a “G” or Google logo in place of the old Chrome logo. That’s it. As you can see in the images, like last year’s model, the cable can extend or attach to the back of the device through a magnet. So what’s different in the funcionality department? Well, this new Chromecast should be able to stream 4K video (hence the “ultra” in the name) and may even have HDR support. It’ll also cost about double the standard HD Chromecast, if reports from last week are correct. That would mean a $69 price tag instead of the $35 that has accompanied two generations of Chromecasts.